OVER THE YEARS we have seen UMNO assuming the role that was once the prerogative of the Sultans of the various states in Malaysia. It was a process started by the British and ironically concluded by the Malays themselves, albeit through UMNO. 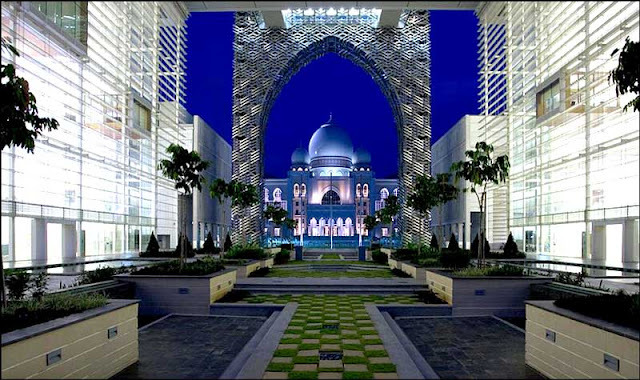 These tendencies towards Sultanization have evolved over the years to what it is today – an UMNO president living in splendid isolation in a grandiose palace called Sri Perdana in Putrajaya, surrounded by all the trappings of wealth and power. But I am getting ahead of myself. The quest by UMNO leaders towards their own Sultanization began with a partiality to ostentatious consumption: Zahid Hamidi's very costly watches, silk shirts, expensive suits, really expensive cars, and grand houses. Khir Toyo’s palace is the manifestation of these tendencies to a tee. 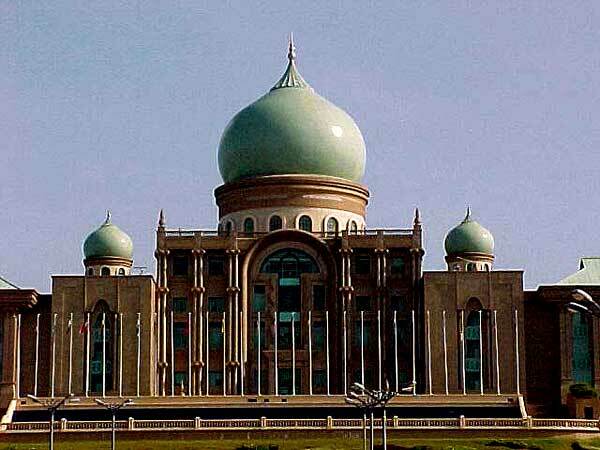 The Prime Ministers motorcade, the legion of people that seems to surround him everywhere he goes, and the splendid, splendid office at Putrajaya is all par for the course. Of course, to maintain this lifestyle on their meager salaries as Ministers and YB’s means that they are all susceptible to corruption on a grand scale. 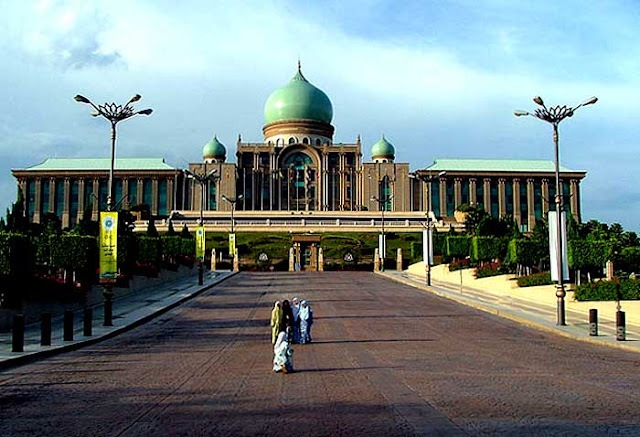 In Malaysia all power resides with the Prime Minister. In the state the Mentri Besar title says it all – BIG Minister. This concentration of power in the PM at the federal level and the MB at state level can only give rise to the politics of patronage and nepotism, as all largesse flows from these leaders. The wholesale change that is the norm whenever there is a change of these individuals gives rise to the ‘make hay while the sunshine’ mentality. So where the Sultan was ‘king’ in his state, it is now the Mentri Besar that dispenses favor to the Sultans – in business opportunities, in extending credit to pay gambling debts, in keeping under the lid the excesses of the Royal family. Like the Sultans who are normally descended from an immediate family tree – UMNO too are comfortable with accepting its leaders when they are descended from families closely associated with UMNO - possibly with the exception of Mahathir – because his Indian background precludes that possibility. But at times, even when your Father is a Class-A leader, his genius will skip a generation or two. How else can you explain Najib and his cousin Hishammuddin? For now the Sultans still cling to being the head of religion in their own states. But we can see this too is increasingly becoming the function of the religious authorities – whose salaries and appointments are the function of the central government – controlled, for now, by UMNO. So, effectively, even in these areas UMNO will have a say if not absolute control to do as it wish – with just a passing nod to the Sultans as a mark of respect. So in reality these UMNO leaders – have not only taken power from the Sultans but have also assumed the Sultanization of their own selves in the very mould of the Sultans that they have now deposed in everything but name. The Malays have always been loyal to their Sultans and are expected to obey their commands unquestioningly. We are all aware what Hang Tuah had to do to appease his Sultan: kill a loyal friend, Hang Jebat. I do not think any Malay today would want to kill a loyal friend for a pretender to the throne that calls itself UMNO. Not when the Sultanization of these pretenders was done without due consideration of the rights and aspirations of the Rakyat. wtf, at the end, they just need a 6'x3' space. Hey Anon...at the end...do U know how people they have had "made or "forced" to jumped into the 4'x6' before they needed to jump????? 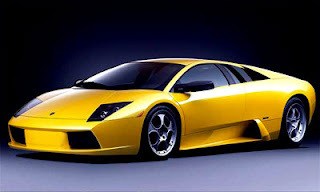 are u not concern because u did'nt bleed...yes WTF!! !